At 6,500 RPM, a piston changes direction more than 200 times per second. In an engine with a four-inch stroke, that piston’s average speed is almost 50 miles per hour, and that’s just the average - it spends a considerable amount of time (in relative terms) sitting almost motionless at the top and bottom of every stroke before being shoved or dragged back in the other direction. Every gram removed from a piston is a gram that doesn’t have to be moved back and forth hundreds of times per second. The advantages of a low-mass piston aren’t only reserved for high RPM engine builds. The bottom line is that the g-force a piston in even a mild performance application experiences is enormous, and we take it for granted that they’ll handle that stress over and over without failing and spontaneously disassembling the engine. While the acceleration a piston endures is a mathematical function of engine speed, crank throw, and rod dimensions, how much force that translates into is something we have some control over, in the form of piston weight. 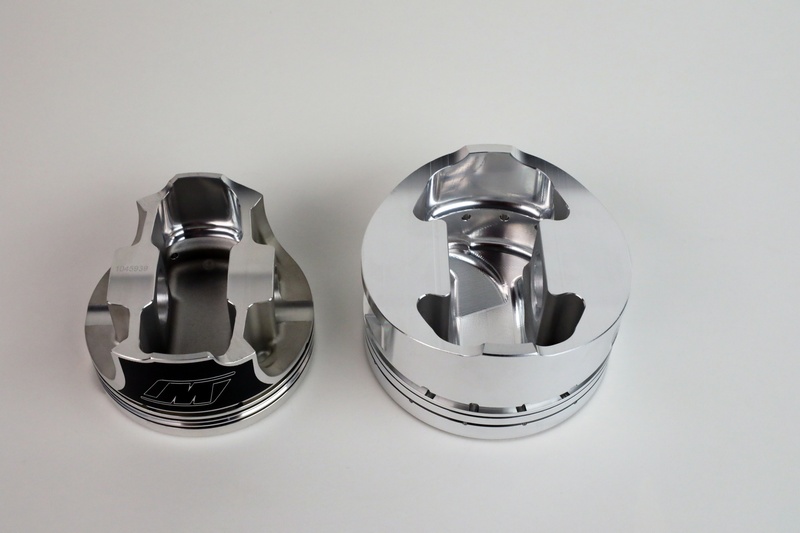 While it might seem counterintuitive, a lighter piston can be more durable than a heavier one if there’s excess material in the wrong places, and to get some insight into the how and why of making pistons lighter, we reached out to two very knowledgeable individuals - Wiseco’s Vic Ellinger and Nick DiBlasi. There are almost always opportunities for weight reduction through strategic machine work. Because forging dies must use a fairly generic shape, there is room for lightening via application-specific machining. It’s easy to look at components like pistons, rods, the crank, and the block as being utterly rigid when they’re laid out in the assembly room, but the forces that act on them in operation are so far beyond our ability to intuitively understand that it’s hard to get a feel for how they’re flexing and moving in operation. 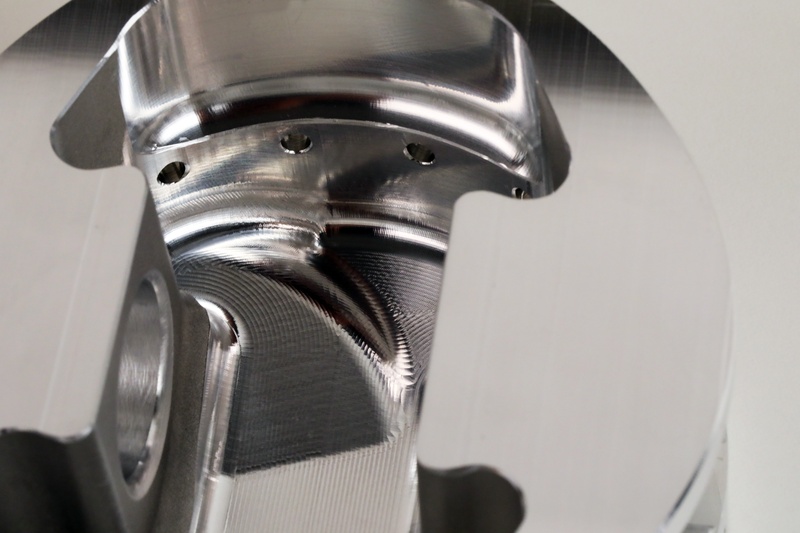 Through Finite Element Analysis, areas that can be safely machined away without compromising piston strength can be identified before a single chip flies on the CNC mill. Key areas are the pin bosses and the areas on the underside of the crown where topside features like valve reliefs won’t create a thin spot. Interestingly, the pistons aren’t under the highest stress when you might think they are - during the power stroke. DiBlasi explains, “It’s actually the bearings, journals, and caps that see the most forces on the power strokes of engines, where the inertial loads of the exhaust stroke and deceleration are where many failures occur with heavy parts.” Pistons and rods are actually under some of the most extreme stress at TDC during changeover between exhaust and intake strokes, where there’s little resistance to the upward motion of the piston from pressure in the chamber, and the piston is suddenly changing direction as the motion of the crank starts to yank it back down the bore. It might seem obvious, but the skirt area also offers a prime opportunity for mass reduction. Careful design can remove material where it’s not needed without affecting piston stability in the bore, and an asymmetrical design that favors the thrust face of the piston helps as well. In order to lower those stresses, reducing the mass of the rotating assembly is key, and the biggest bang for the buck in terms of weight reduction happens with the pistons. In some circumstances, like engines running high boost or a lot of nitrous, there’s no alternative to having extra mass in the piston in order to provide enough of a heat sink to prevent detonation and supply a broad enough path for that heat energy to make its way out of the piston and into the cylinder walls, and eventually the cooling system. But without those special conditions, lighter is going to be better. 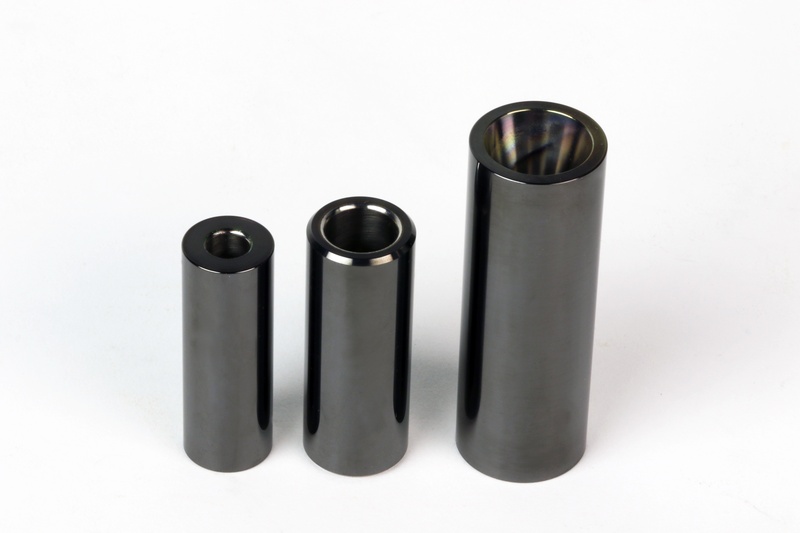 Lightweight pistons are just a single part of a fully-engineered mass reduction program that includes thin-wall, high strength pins and low-mass rods. With these factors in mind, how can pistons go on a diet without sacrificing strength? Some of it comes down to “genetics” - how the piston is manufactured. The two common methods for mass-produced pistons are casting, where molten aluminum is poured into a mold, and forging, where an aluminum blank is heated, then shaped in a die under immense pressure. There are pros and cons to each method in terms of strength, the materials used, and of course price, and one isn’t necessarily better than the other for every application. “Typically a forged piston is heavy in most cases,” Ellinger explains. 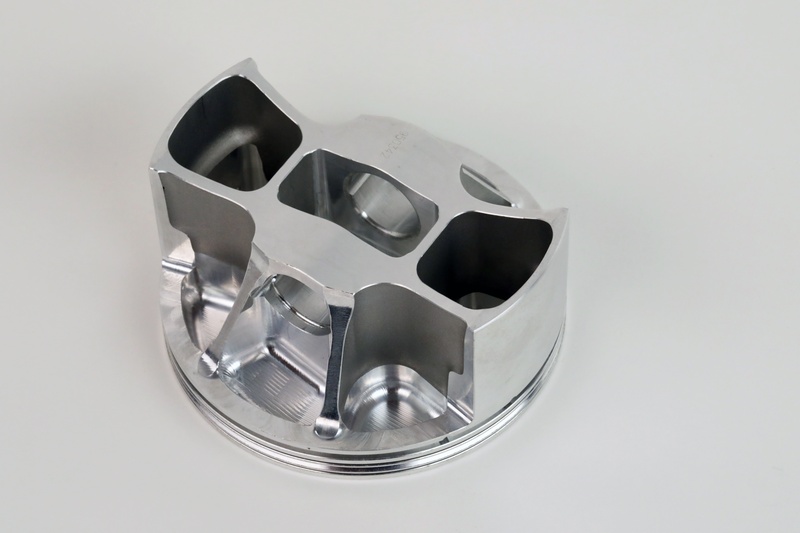 This is because many forged piston manufacturers use a single base forging for a wide variety of different final piston designs, whether it’s going to be a high compression domed crown or a low compression dish, or a number of other design factors like a full skirt or reinforced pin bosses. 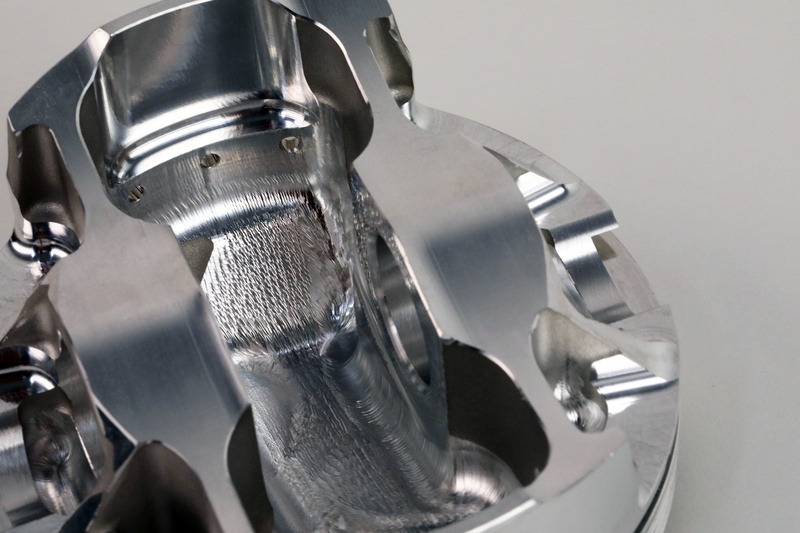 You can always remove material from a forging, but the time it takes to machine away the excess that doesn’t need to be there for a particular application costs money, and as a result, forged pistons often end up heavier than they need to be. Is light always right? The answer to that is a resounding No! 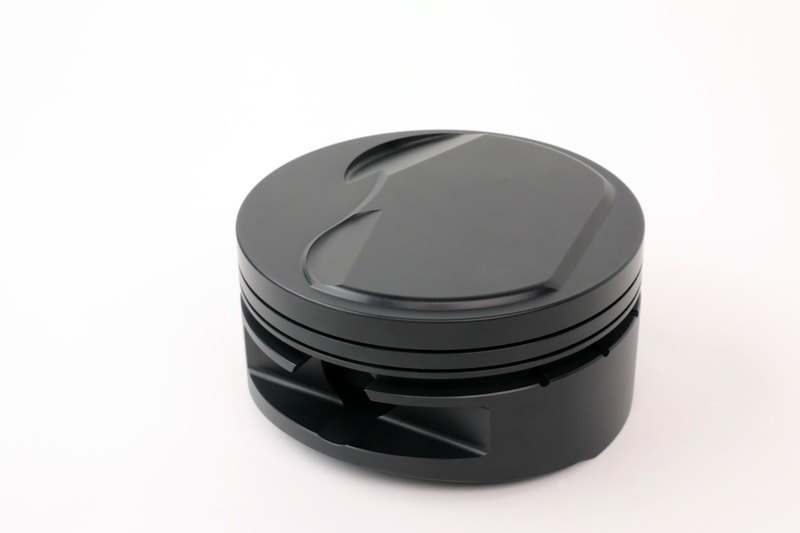 This circle-track style piston is very thin all over and is designed to maximize performance at the expense of longevity. 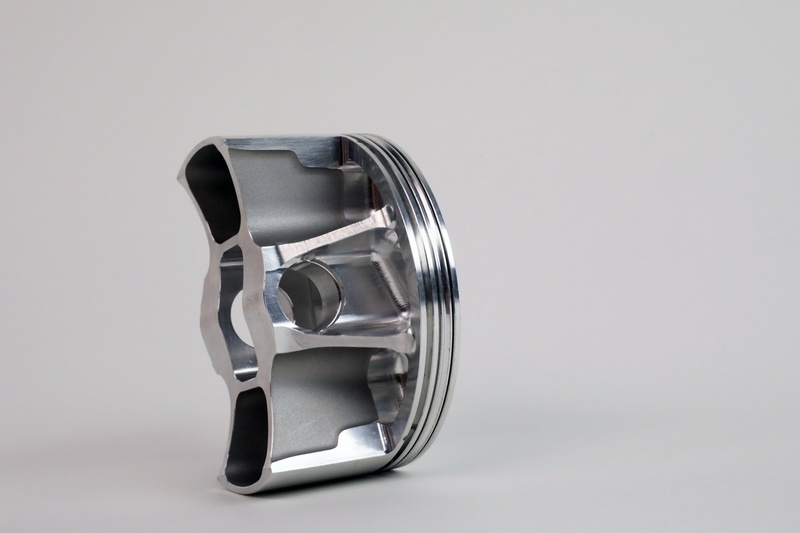 A high-performance, street piston will be significantly thicker for a much longer servcie life. Through highly calculated material placement, such as these struts, the crown and pin bosses can be supported with minimal piston mass. 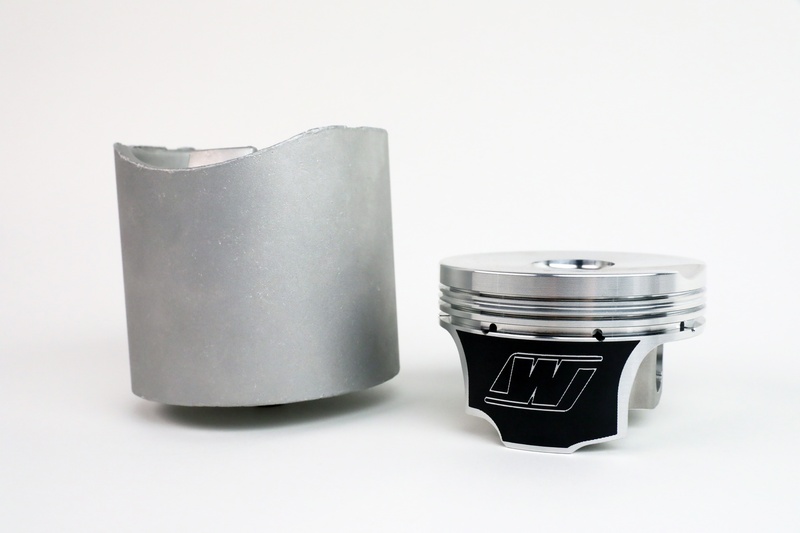 As part of a complete strategy, lightweight Wiseco pistons can significantly reduce the reciprocating mass in your engine without any compromise in strength or durability. 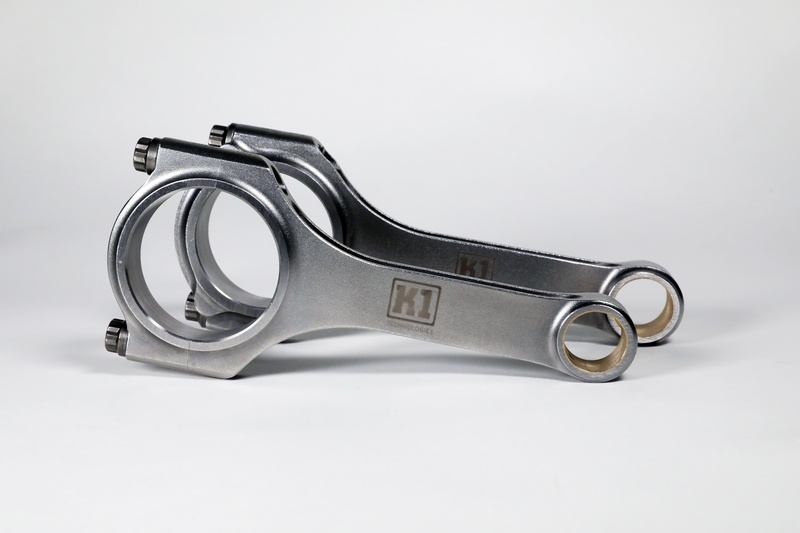 “Piston components are another resource to reduce weight further on the rotating assembly,” DiBlasi notes. “Using high grade, stronger pin material allows us to run a thinner wall wrist pin in conjunction with the shorter pin. Also, running a smaller ring package such as 1.0mm, 1.0mm, 2.0mm can reduce up to 30 grams in comparison to a 1/16, 1/16, 3/16 ring set.” While there’s inevitably a cost increase involved with extensively lightened pistons, lightweight rods, upgraded pins, and other components, if you’re in search of reliable high RPM power in a naturally-aspirated application, it’s money well spent.